You can make a publication background transparent or lighter so you can see the text better. 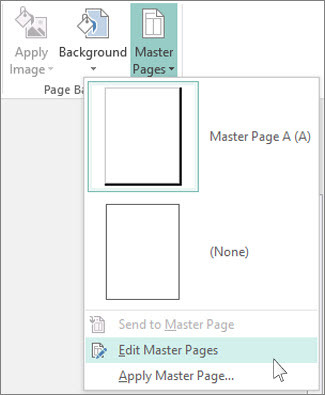 Open the template or publication, click Page Design > Master Pages >Edit Master Pages, and choose a Master Page. 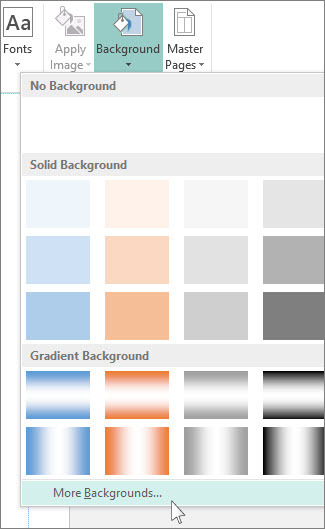 Click Page Design > Background > More Backgrounds. 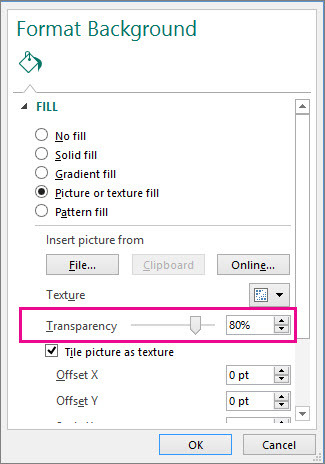 Click Picture or texture fill, and under Transparency, type in 80% or higher to make your picture background lighter. If you want the background picture to show through the text, make the text box transparent. Click the text box, and click Format text box > Colors and lines > Fill Effects > No Fill. Note: Some templates are designed with opaque text boxes and to make them transparent you have to do this step for every text box in the publication.